Having already announced Pegasus Bay Prima Donna Pinot Noir 2009 as the “Most Auspicious Wine for Chinese New Year 2012 Year of the Black Water Dragon year”, I had in fact already singled it out as my “Red Wine of the Year”, so impressed by its sheer profoundness and energy, yet harmonious elegance. Even though I have a wandering palate and partial to almost every grape and region (well, maybe not cabernet), I drink a lot of pinot noir throughout a year including a fair amount of Burgundy. But not even the exalted realms of Chambertin Clos de Beze caressed my palate as much as this wine with its brooding complexity, pronounced minerality and viscous, silken texture – and as we know, texture is everything in pinot noir. This wine is the measure of any top new world pinot noir or that holy region and from a price/quality rapport perspective, in comparison to Burgundy; it represents extraordinary value for money, indeed I would have thought one of the great wine bargains of the world. Moreover, in my opinion, it is the most profoundly distinctive pinot noirs in all New Zealand and I have always identified Pegasus Pinot Noir with its markedly black earthy nuances; an earthy quality that I associate to the smoky, charred aromas of peat, amongst a strong iron and gravel minerality. This characteristic is so evident in Pegasus Bay Pinot Noir I normally have no trouble identifying it in a masked line-up. Ultimately, much like conveyor of terroir the riesling grape, this is what captivates us pinot noir lovers so much – to see such a profound ‘sense of place’ in a wine, distinctive in its soils and environment – a wine that can be identified by its origins rather than the slick hand of a formulaic winemaker or cosmetics of oak or chemical adulteration. Essentially a barrel selection, The Prima Donna cuvee is only made in the very best years where drawing off certain barrels will not detract from the balance of the main cuvee. Invariably these barrels will encompass the older sections of the vineyard with vines approaching 25 years old. The wine is made naturally using tradition Burgundian techniques and fermented on its own yeast – wild yeast or natural fermentation – with a higher proportion of new oak and certain smokiness and energy derived from this, at the same time completely integrated and integral to a wine of this density and level of dry extract. Deeply rich and evocative perfume exudes from the glass, ultra-spicy, Indian spices with a hot wok smokiness, plush and concentrated dark plum, dark cherry and pronounced violets – a nuance that I associate with the most coveted pinot noirs yet illusive – notes of tamarind paste and a potent infusion of black-earth, cold iron sand beach, iron rock, granite minerality, also hung meat and dried beef aromas with coffee grinds and a woody smokiness of fireside charcoals. Gorgeously rich and dark bitter chocolate palate entry coating the mouth with intense black cherry and spice, tart black berry fruit kicks in almost sangiovese-like in energy with chewy fine tannins, indeed excellent tannin structure with a layered silky texture and seductively elegant yet there’s this dark brooding element and impressive power with an incredibly long palate and carry of flavour with a vivacious tanginess of acidity that balances the richness of fruit from what appears to be a ripe, well-balanced vintage. This definitive structure and tension sets Pegasus Bay apart from many New Zealand pinot noirs and I have always thought their wines more Burgundian in style with power and nuance of a Grand Cru Burgundy, like a Chambertin with its pronounced iron and clay minerality. Whilst it is a thoroughly seductive wine now, it really demands 5 or 6 years in bottle and will continue to develop beyond a decade, or two. Having closely followed Pegasus Bay’s evolution for over two decades, beyond the intimacy I have with their wines and the Donaldson family, there is a compelling story to be told here; a story that deserves a much larger audience than its indigenous admiration and organic international growth. The connotations of ‘traditional winemaking’ are perhaps lost on most through stereotyped marketing ad nauseam, diluting the underpinning fundamentals of a family-run, artisan winery and polarity of commercial operations masquerading as such. And if we are sometimes enervate to the French rhetoric of ‘Family tradition’, ‘Time-honoured methods’ or ‘Wine has been made here since Roman times’, it is perhaps because there is too much truth in this and it makes (us) in the new world feel somewhat inadequate. And yet it is this very same kindred spirit that is the fabric of Pegasus Bay, with the pioneering spirit of Professor Ivan Donaldson who in the early 1970s made his first wines literally in their garage, before the term ‘garagiste’ was coined – how ironic the old world is now so enamoured with a new world technique. Even if generational succession is common in Europe, there is less probability of such patrimony these days and all family wineries agonize over perpetuity of their dream. Prof. Donaldson and wife Christine must surely be elated in the heredity of their vinous endeavours with the entirety of their offspring completely immersed in the business and property as a whole. Edward, the second eldest son, astute and affable by nature is consummate in his responsibility of marketing manager and his wife, Belinda, runs the winery restaurant, a must-visit and the best cellar door restaurant in the country with a splendid alfresco setting. And Paul, their youngest son, armed with an MBA is the General Manager of the company, and I assume does his level-best to contain all this posterity and ambition. This is truly a family-run winery, in every respect. I’m an ardent believer of the adage ‘Great wine is made in the vineyard’ and terroir that resonates through a wine is as much a product of man as it is the soil. Notwithstanding the aspects of the relationship between climate and soil, transported to the grape, in reality not an exact science, however there is much to be said of the vignerons input, or how the vineyard and property as a whole is managed, or in many instances mismanaged. As there is no direct English translation for terroir, as coined by the French, who would have us believe this phenomena is exclusive to them. It is of course universal. This quote from Matthew Donaldson aptly puts New Zealand and Pegasus Bay’s terroir into perspective. Without inciting the polemic on the merits of organic or biodynamic viticulture, unless there is a deep respect for the land I cannot see how there is any relationship to terroir, as man has failed in his part. Thankfully, much of New Zealand is completely untainted, by comparison to some of the chemical-leeched soils of Europe. Walking around the Pegasus vineyard and property, one gets a real sense of the deep respect the Donaldson’s have for their land; with its picturesque vista across the lawns and lake with extensive gardens leading to a backdrop of vines and terraces with the foothills of the Teviotdale Range framing this splendid view. Pegasus Bay is a 30 minutes drive north from Christchurch, and yes I know you are instantly thinking of the recent devastating earthquakes and is the area safe?! Well, if you consider that most had forgotten about ancient fault lines and that Pegasus Bay barely felt a few shakes throughout all of these earthquakes and tremors, life goes on pretty much as normal here. I can’t help draw comparisons between Pegasus Bay and the Donaldson’s with the Californian pioneer of pinot noir, Josh Jenkins, at Calera Wine Co., and in so many respects their story (and wines) has similarities. Jensen’s winery is a 100 yards from the San Andreas fault line and as he wryly puts it, “Who the hell would be mad enough to have a winery right on the damn San Andreas fault line”, with a Jack Nicholson, ‘One Flew of the Cuckoo’s Nest” grin on his face. In the same breath, “Who would be mad enough to plant pinot noir in this godforsaken coyote country anyway”, with palpable passion and determination in his voice. Jensen’s foresight, perseverance and the fascinating Calera story is brilliantly told in the book, ‘The Heartbreak Grape, A Journey in Search of the Perfect Pinot Noir’, by Marq de Villiers, (McArthur & Company – ISBN 13-9871552786109). And I see this very same pioneering spirit in Prof. Donaldson and his search for the ideal terroir. 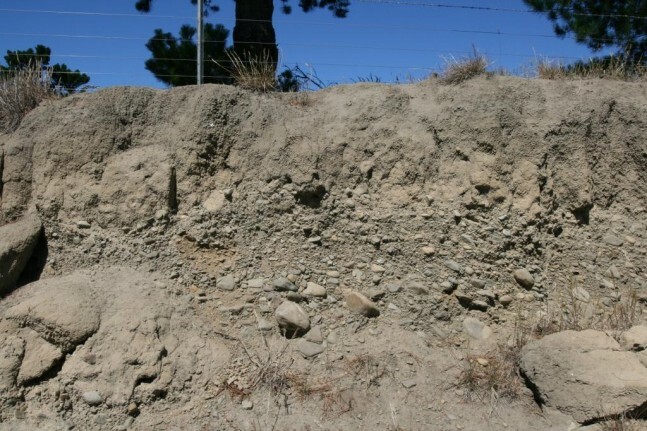 Prof. Donaldson may not have been as obsessed with finding limestone soils as Jensen, perhaps because was not just preoccupied with pinot noir with other grapes like riesling and chardonnay on his mind. 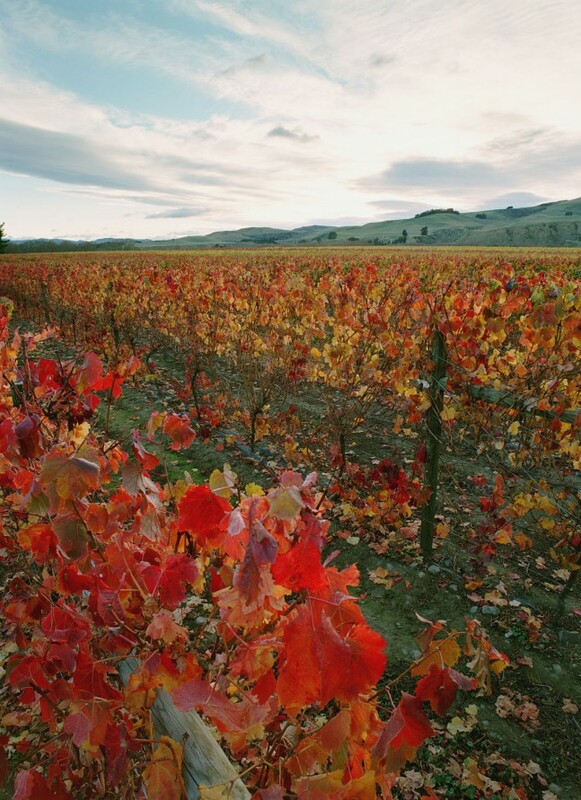 Prof. Donaldson found his ideal vineyard land in North Canterbury, in the Waipara Valley and the lee of the limestone hills of the Teviotdale Range, protected from the cool winds of the South Pacific Ocean roaring up uninterrupted from the vastness of sea stretching from Antarctica to the east coast of the New Zealand’s South Island and Pegasus Bay; more so the prevailing wind and rain the most pristine on earth. The then submerged ancient substrata here goes back to the break-up of eastern Gondwanaland, during the mid-Cretaceous, a tumultuous period of volcanic upheavals and colliding plates with massive tectonic uplifting and folding creating the Southern Alps with successive glaciers grinding over the eons leaving gravel-laden terraces in the Waipara Valley over 100 metres deep with top-soils of smooth stones and sedimentary quartz and loess – free-draining and infertile – perfect for growing vines. The warm nor-westerly winds coming from the South Alps or Main Divide as it is known and the proximity to the sea and sheltered position of Pegasus Bay vineyards provide warm days, yet cool nights with dry autumns facilitating prolonged ripening with the grapes easily achieving optimal ripeness and intense flavours while retaining good natural acidity. You would think such ideal conditions would have attracted many vignerons and the close proximity to Christchurch adding commercial appeal. And yet by comparison to Martinborough or Central Otago, North Canterbury and Waipara Valley remains relatively underdeveloped and perhaps underdone as the region also seems to lack the gloss of other pinot noir regions, in part I feel due to not enough serious producers and in my opinion, Pegasus Bay is in a league of its own and evidence that commercial application alone cannot achieve personality or greatness in wine. Pegasus Bay is not just about pinot noir though, as they make exceptional white wines as well; arguably the most stylish, unparalleled semillon sauvignon blanc in the country – commendable pinot gris and chardonnay – stunning gewürztraminer – but perhaps above all, riesling of compelling quality and power; a benchmark in New Zealand. I have included a few tasting notes on their riesling and although do not want to digress from the subject of pinot noir, you should indeed give their riesling considerable attention – as much as I am hoping to do a vertical of such on my next visit to Pegasus Bay. 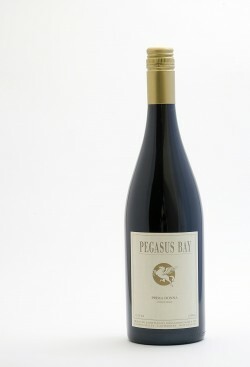 Stylistically, I would categorize Pegasus Bay Pinot Noir as muscular with considerable energy and pronounced minerality. Muscular should not be misinterpreted as tough or big as I use the term to define the excellent tension and structure of their wines; a structure that is missing in many limp, crowd-pleasing New Zealand pinots. In this respect it is a case of managing tannins as Pegasus Bay’s terroir consistently achieves good ripeness and intense fruit flavour in their grapes but it is the personality of each vintage and the careful vineyard management that will achieve perfectly physiologically ripe grapes and tannins. Knowing how to handle the grapes in the winery from vintage to vintage is a perpetual learning process, an evolution of experience and experiments, and with over two decades of making pinot noir I sense Matthew and Lynette are more confident in their technique with recent vintages and place a lot of emphasis on managing tannins and extract, gently coaxing the tannins, flavours and pigments using traditional Burgundian winemaking methods. There is a fine line between over-extraction and pinot noirs that tip over into the dry red category, losing their pinot attributes, and my perception is that Matthew and Lynette have walked this tightrope and their obsession is now achieving more texture and silkiness, as concentration of fruit and good acidity is achieved naturally. In this regard, they favour a high content of whole berries, keeping the seeds immersed in their pulp while fermenting – adjusting this to the condition of the grapes each vintage, and generally without stems as they discovered too much whole bunch accentuates the spiciness in their wine although there has been on occasion up to 10% of whole bunches. They like a short cool pre-fermentation soak, a few days helping to extract the soft, silky tannins from the skins and as the small open fermentation vats gradually warming up kick-starting the indigenous yeasts with the floating cap of grapes manually plunged twice daily. Wild yeast fermentation for their pinots has been the norm since 2003. Also from 2003 onwards post-fermentation maceration was introduced; once fermentation is finished the vats sealed for several weeks to further extract other complex tannins to add structure and depth, the length of time on skins and seed depending on the vintage and determined by tasting daily. The oak regime consists of around 30% new barriques and the pinots were bottled unfiltered up until 2000, from there on only a coarse filter, Matt commenting “that it helped the fruit look a bit brighter, sort of less muddy.” Perhaps this ‘muddiness’ is what I interpret as a pronounced earthy, black peat smell and at times a certain rusted iron-like nuance, as you will see repetitious in my tastings notes; but one thing I am certain, their wines do not lack for minerality and personality. You will also see a duplication of blackberry, black cherry, blueberry and black/blood plum in my fruit descriptors as there is a strong pattern of black (berry) fruit flavours in their wines, and rarely do I see red fruits – raspberry, strawberry etc, to which you can count on as a consistent in style, unless from a much cooler vintage. One thing I am certain of, and this is consistent year to year, their pinot noirs have a brooding nature and need/deserve much more time in bottle than they will no doubt not get; the commercial reality that much will be consumed in restaurants before the wine has a second birthday furthermore, a misconceived perception that New Zealand Pinot Noir must be drunk young. It might well be a personal preference that people enjoy such primary fruit flavours and the voluptuousness of youth in pinot noir, and perhaps more so a new world penchant. 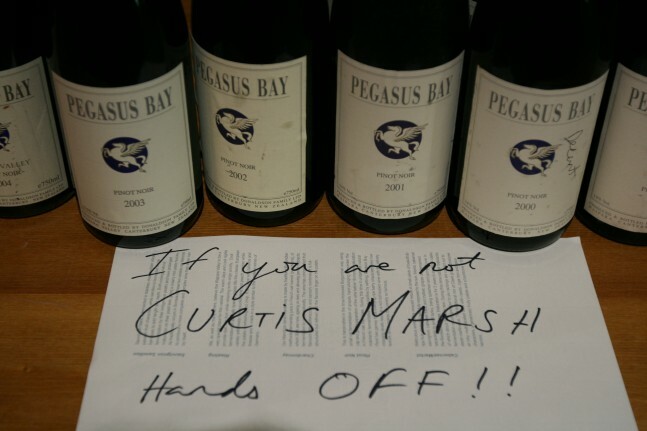 True, the wines look pretty good when released however, give Pegasus Bay Pinot Noir 4 or 5 years in bottle and you will be well rewarded for your patience – and like Calera in California, the wines will age well past a decade with more than a wink to Burgundy. Deep, heady bouquet of blood plum and black cherry with some blueberry compote richness, there’s a sweetness to the perfume and hints of violets and lavender-field, becomes spicy with star anise and black peppercorn, distinctive warm black clay minerality and fireside timbers. Rich, dense palate entry, plush in blueberry and blackberry compote; no question it is an intense, dark wine with dark chocolate elements, warming spices, Sichuan peppercorn, a full-bodied pinot with layers of fine Chinese black-tea-flavoured tannins giving it a dense and firm yet silky structure, matched by perky acidity with excellent length and persistent tangy redcurrant lingering with warm-spicy tailing and savoury Kalamata olive twist. No question this is a ripe, concentrated pinot with considerable dry-extract and plenty of tension. It really needs a good 5 years in bottle to do it justice. No Prima Donna made in 2007 due to very low yields and small crop. Lifted red cherry and blueberry with an alluring sweetness to the perfume, some coffee grinds and milk chocolate nuances, as it breaths the fruit deepens and spiciness reveals itself, although a more tempered spice with cardamom seed, five spice and peppermill with a hint of aniseed, and a background of black-clay-earth and notes of iron ore, cold steel – pronounced minerality. Palate has an accent on red fruits, raspberry, red currant, certainly tarter fruits than 2007, and much crisper, racier palate, indeed very zingy with piercing red currant and raspberry, lots of tension in this wine and flavour carry; tannins are dusty and firmer towards the finish with a warm, spicy glow. Appears to be a firmer structured wine and perhaps not as plush as 07, but I do like it for its intensity and crunchiness of fruit. Intense black berry fruits, brooding nose with black olive tapenade and burnt timbers, there’s a hint of liquorish and bitter chocolate, some dried thyme and lavender, peppermill spice adds to the complexity, there’s an infusion of iron or wet cold iron sand beach and sheen of mocha from oak. The palate is a saturation of black berry, blackcurrant, and black cherry, intense and very dark fruited flavours, nuances of dried date, very concentrated, builds in spice-peppermill and has fabulous length with bright acidity accelerates the fruit across the palate. Appears to be a great vintage and a pinot with fantastic energy and tension yet balanced quite elegant as a whole. Cleary a step up from the main cuvee and I would suggest leaving this for a long as you can, a good 10 years in bottle. Matt chimed it might be their best vintage to date, a perfect vintage with uniform berry size, not too hot, not too cold, nice dry autumn (absence of north-western) and very ripe tannins. Rich, sweet perfume of blueberry compote, black cherry, juniper berry, dark bitter chocolate and espresso coffee, a sense of dense lushness (ripeness), bouquet intensifies with spiciness – five spice, star anise, lavender-field, earthy black-peat tones and hint of liquorish. Much tighter and zingy on the palate entry than the nose suggests, coiled and unleashes a torrent of tart blackberry and mulberry although fleshes out mid-palate with juicier black cherry, noticeably more tannins and quite firm, present throughout the wine almost sangiovese-like tannin structure and chewy on the finish, very intense fruit carries and lingers with a tartness, of red currant, appears to be a more concentrated wine of considerable extract, fireside charcoal and signature black peat, iron minerality with a touch of rusting steel. Formidable wine that needs much more time; I would not touch this until 2013 and will develop another 5 years or more thereafter. Lifted peppery scents, blackberry, raisin, a whiff menthol and mocha, infusion of minerals – rust, iron ore – dense and brooding, Hoisin sauce, still very primary and locked away. Super-concentrated palate, dark fruits, intense blackberry, blackcurrant, raisin, very powerful unleashing lots of acidity and dry extract, formidable tannins, powdery-drying-firm yet fine, mocha tailing, burnt timbers, steely acidity, railway iron minerality, a seriously concentrated and solid pinot noir, and noticeably more brutal than the main cuvee. In a generalisation of 2005 vintage across the country, many wines are very concentrated and it may well turn out to be the vintage of the decade and certainly long-term wines, and this needs to be locked up, no parole, until 2015. Lynette made the comment, in retrospect we should have used more whole berry, to which I assume she would like to see it a little less concentrated and some more fruit-flesh. Sweet blueberry, black cherry perfume, hints of violets, milk chocolate, certainly has the richness of ripe year with a deep, alluring spice box – cardamom, Szechuan pepper, hint of clove, and some dried thyme – hint of development and tobacco nuances, rusted steel, railway iron, black earthiness, wonderful minerality. Saturation of intense raspberry and red cherry, zingy acidity, considerable tension-lively-intense tailing, indeed invigorating in acidity with a warm glow and impressive intensity and concentration of fruit on back palate, lots of warm spiciness, peppercorn, bracing in acidity with fine, tight tannins, whilst a delight to drink now for its sheer power, looks like a long-term wine that should cruise past 2015 and beyond. Initially quite restrained on the nose, then breaths out revealing rich plumy characters, also blueberry and black cherry, quite seductive and you can see a cooler vintage look, breaths out more with a smoky, meaty, savoury nuance and deeply spiced, clove five spices, touch of dark soy. Beautifully silky palate, rich and plush with sweet blueberry, red cherry fruit, quite high pitched with excellent acidity carry and tension, looks like a very good year, beautifully textured, very intense finish, brilliant wine that will cruise to 10 years plus. I sense a more balanced wine oozing class and yet Matt commented with the bigger crop levels and good set, they dropped half the fruit, bring it down to 2 half tonnes per acre, and being a warm vintage, they were careful not to extract too much. Whatever they did, I think they got it right on. Deep blackberry, black cherry, and blueberry richness, dark bitter chocolate, clove and anise spice, some development with cedar tones, tobacco, walnut, caramel, coffee grinds-mocha, some dried herbs, iron ore, pumas, warm rock, redwood – first wine to show some secondary nuances. Intense tart red berry fruit, sweeter blueberry, slimmer palate entry yet reminds of the 05 in its intensity and tightness, coiled and unleashes a torrent of redcurrant and raspberry, red cherry on the back palate, acidity kicks in with a lengthy tartness, spicy glow, barky with sinewy tannins quite firm and black tea flavoured, much firmer palate than nose suggests, a little dryness at the finish, dried timber, and mouth puckering. Whist the nose suggests approaching drinkability the palate says wait for a while, perhaps another year or two. Captivating perfume of ripe black cherry, roses, violets, milk chocolate sweetness and has a density about it – looks to be quite ripe, a bit of mocha and black pepper, charred woods, black earth character, very potent indeed. Gorgeous palate, bit like the 2004 but more dense and chunky, firmer and you can feel the dry extract along with firm-grip-tannins, a little more warmth and spice appears although taking on a darker profile and a port-like intensity, acidity perky and yet to integrate, quite sweet mid-palate, some dried fig and raisin, inky, black tea, peat and earth, mouth drying tannins, needs a lot more time – a pinot noir of considerable proportions and extract. Matthew commented, very small crop levels, one ton to acre, used a lot of whole berries, had bit of rain at harvest, big downpours, bit of berry swell and botrytis. Rich perfume of black cherry, blueberry compote, dried fig, touch of damp earth pine forest floor complexity, black olive, slightly herbal-subtle-vegetal, but not offensive in any way, cooler vintage indications, spicy, salami, with a hint of flint and smokiness, dried meats, a little menthol, breaths out to a Barolo-like roses and cedar, bouquet. Bright raspberry, red currant fruits, zingy and tart, good intensity and seems to be harmonious-integrated, excellent carry of crunchy fruit, elegant and has the right balance of flavour intensity, some tawny notes, walnut and pine needles, cedar nuances, leather, first wine to show some defined bottle age and secondary characters – drinking quite well, and whilst not destined for the long term, still plenty of time ahead of it. This vintage was bottle half with screwcap and half under cork, first trials. Trying the wine under cork, seems to have a little more richness in the nose, deeper but less-bright fruit (screwcap more aromatic) subtly more complex, but not a lot in it, there seems to be a little more chocolate coating in the flavour profile, also more secondary complexities of roasted rare pigeon and gaminess – can’t decide of I like the wine under cork or stelvin more. Matthew commented a lighter, cooler year, higher yield; they were a little worried about lightness and coolness of the vintage so declassified a lot to Main Divide label… however he agrees with my comment that it’s looking very good, perfumed and bright fruits and very drinkable, he’s surprised how charming the wine has become. Dark black cherry, concentrated blueberry, hints of bitter chocolate, dried muscatel and dates, breathing out to show some fabulous secondary complexities of roasted lacquered duck, ducks guts, blooded pigeon, five spice and garlic, wonderful cedar and cigar tobacco odours, scents of redwoods and charred woods, wonderful perfume, complex and alluring with incredibly intense clove and cinnamon spice. Rich textured palate, very creamy and harmonious, layered with intense blackberry and blueberry fruit, poached blood plums, sweetness on the back palate suggests a ripe year and low yield, concentrated and lots of extract, tannins are integrated and linger with flavours of black tea, black olives, brilliant wine, drinking superbly yet with the density it has should hold for a number of years – very impressive and shows how Pegasus Pinot’s reward with a good 6 years in bottle. Blood plum and dark cherry, rich-sweet perfume enveloped in milk chocolate, builds to a hedonistic bouquet with Indian spice box and nutmeg, meaty and smoky, captivating secondary complexities of cedar forest and cigar, gorgeous bouquet – the holy grail nuances of pinot noir. Creamy, silky palate, dark chocolate, chocolate coated raisins, blackcurrant and dark cherry, then tannins sneak up on the back palate, Oolong tea flavours, smoky tea tree and fireside charcoals, gun smoke and flint, iron, amazing power and length and still so youthful with dark brooding fruit and firm tannins, mouth puckering dryness, very impressive wine that is developing beautifully, more so on the bouquet but compared to the main cuvee, needs at least another 2 or 3 years more bottle age and will certainly cruise beyond a decade and longer. Matthew commented they had hail on New Year’s Eve which knocked off half the fruit, so the crop was down to a meagre 1 tonne per acre and tannins slightly harder. Quite developed aromas, hints of green liquorish, hint of vegetal, notes of caramel, pine needles and menthol, pine mushrooms, old leather and antique woods, very earthy, some sweaty leather, grows on you with air, in the sense my first impression was a wine that was almost past prime, but it keeps building in complexity, Christmas pudding nuances, pipe tobacco, earthy forest floor. Quite tart raspberry fruit, acid seems a little disjointed, a bit prickly and angular, build in intensity though to show some richness to the fruit, poached plum and blueberry, actually the spiciness and warmth also build to quite an intensity – maybe it’s still developing? Certainly builds in character and length, and grows on you… would like to see this again in a few years. Lynette comments that is was a really cool vintage, lots of rain and cold, and lots of sorting of grapes, but a perfect vintage for riesling. Notes of liquorish and espresso coffee amongst stewed black berry, port-like nose, becoming vegetal-compost characters, pine needles, slightly varnish-burnt timbers. Rich, sweet n sour palate, very plumy, certainly much richer and more attractive on the palate than the nose, quite an intense spice build up and dense mid-back palate, firm tannins-Oolong tea, some sweetness although showing flabbiness on the finish, looks to be a big wine, that was very ripe and a little over the top. Not sure where it’s going. Matthew commented they had a bit of grape shrivel and port like nuances, should have been the perfect vintage, but hot dry nor-westerly winds for 3 weeks at 30 degrees caused issues, they tried a lot of barrel fermenting as an experiment. Raisins and muscatels with touch of dried fig, deep blood plum, liquorish and bitter chocolate, notes, opening up to a wonderful perfume of secondary complexities; cedar forest, forest floor, pine mushrooms, fire embers, burning cigar, smoky, salami, hints of caramel, dried walnut shells – all reminds me of great Chianti. Beautifully rich and harmonious palate, creamy and soft, fully integrated, a nice sweetness builds on the palate, ripe black cherry and chocolate, deeper baked earth characters and black-olive-tapenade-like tannins becoming firmer on the black palate, deeply complex and mature wine that is drinking superbly, but should be fine for years if cellared well as the tannin structure and overall weight is there – textbook pinot noir. Coffee aromas with a hint of liquorish, black earth, slightly herbal-compost nuances (in a good way), and scents of rosemary on a wet day, also intense juniper berry – breathing out with more earthy secondary complexities – pumas, wet concrete, limestone, leather and cigar, cedar-pine forest, dried mushroom, building in spiciness, peppermill and clove, hot salami, the bouquet deepening and more interesting as it breaths. Wonderfully rich palate, a lot more generous in fruit than the nose suggest, quite bright and sweet blueberry, red cherry profile, lots of spicy warmth, rich and layered, tannins are there but beginning to soften and integrate nicely, excellent length, hugely powerful and keeps on building, even though the bouquet is quite developed would suggest it is only just starting to reach its optimum drinking and will continue to develop and hold for at least another 5 ahead or more, totally impressive wine that shows how well Pegasus Pinot Noir can age. Bravo! Matthew comments it was a hot vintage, really hot and the nights were warm achieving very ripe tannins. Fresh cut green apple, mandarin peel and apricot, wet stone minerals, a bit hay-straw character, looks Austrian-riesling-like on the palate with apricot accents, fresh pineapple tang coupled with juicy mandarin and lime. Invigorating acidity and defined minerality with cold rocks mountain snow nuances, chalky and dry as Taranaki on a Sunday, long apricot tang, very impressive, can’t help thinking it reminds me of riesling from Krems with the apricot mandarin axis. Quite exotic, fresh figs, guava, ripe limes (sweeter Thai limes) and mandarin, also ripe stone fruit-nectarine scents. Explosive entry to the palate, glycerol texture to begin with sugar-lime-syrup, but intensifies with tanginess, bite of granny-smith apples, gobs of lime and lemon, tailing quite chalky and minerally but with fabulous almost stinging acidity and length and lingering ginger spice, This is classy riesling, powerful, stylish, indelible flavours, residual sugar hardly noticeable on the palate and should continue to age well. Hay barn, straw characters with a subtle hint of paraffin, intense bouquet, essence of apricot – distilled apricots, palm sugar, honeyed sweetness, orange peel, clover honey and lavender. Viscous, sweet entry, packed full of juicy orange, apricot, mandarin, cone honey amongst lime, grapefruit, marmalade all balanced by bristling acidity and freshness, just starting to build some toasty, butter on sourdough toast characters and reminds me of aged Hunter Valley semillon characters, really drinking well now. Honeyed-Mosel-like nose, toasty and buttery marmalade and peaches, ripe apricots and muskiness. Rich palate entry with poached peaches and pineapple, dried apricots, then becomes quite earthy, and minerally, some pungency with shades of botrytis, good spice and invigorating acidity amongst lime juice and palm sugar, textural yet quite mouth-watering, impressive wine that seems like it could develop for some time yet. Distinctive warm hay barn, straw on a hot day, hint of paraffin, toasty and rich, honeyed bouquet. Sweet and sour marmalade palate entry, gorgeously viscous and essence of lime, spicy and long, beautifully mature with candied fruits and an earthy pungency and subtle phenolic, at its optimum and not bad for a New Zealand with over a decade bottle age, eh what! Should hold well with the natural sugar and acidity.